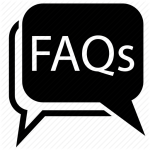 You are here: Home / Building a Website / FAQ’s: More questions about building a website? All Mobile Advertising Partner’s websites are HTTPS Verified and Mobile Friendly. What is the process for me to start a website for my business? Depending on the size of your website the process can take from one week to 4 weeks from beginning to end. Once we agree to work together we will set up a schedule, including a Launch Date for your new website. Yes, we can help you with this part of the process. There are options for hosting. We can host your website or you can purchase your own hosting account from a provider such as Siteground, which we highly recommend. Google says today more searches are done from mobile devices than desktop computers. This makes it extremely important that your site works on cell phones and tablets. At Mobile Advertising Partners “responsive mobile websites” are our top priority. Do you offer logo design or photography services for my site? We offer logo designs and we work with other artists to help make sure your company has a great looking logo. We also offer Photography and Video services to make sure your site and your photos look professional and represent your business. One of the top benefits of WordPress is the customer can edit and add pages, photos, blog articles. We help you get started running your own website with the necessary training and resources. Do you offer monthly service and maintenance plans for websites? Wondering what it takes to build a website for your business? Check out this article: 6 Things You Need to Build A Website! Ready now? Let’s get started!